Hello all! 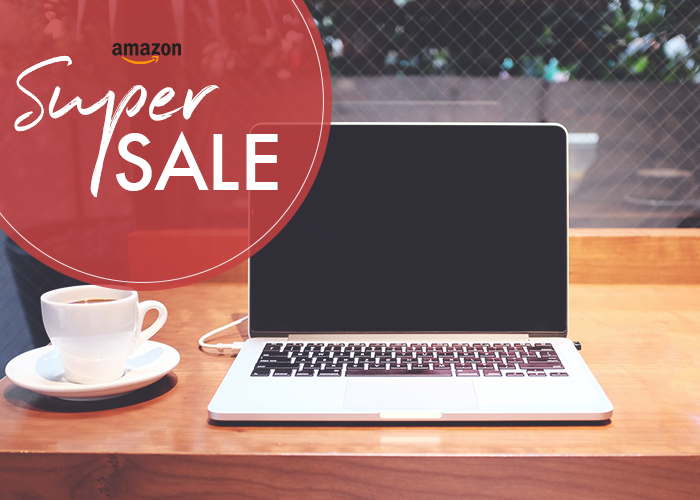 Welcome to this week’s roundup of awesome + useful products currently at a big discount on Amazon. From the bigger investment items your home needs to the things that are nice to have, we’ll be letting you know when the stuff you’ve been wanting anyway has gone on sale (sometimes up to 78% off) so you can get the best deal possible! Thanks for reading — let’s jump right it! 31% off. I’ve owned many a kettle in the past, and I must say, it’s a big bummer when you forget how hot they are and then lightly burn your hand on accident while making yourself tea. This kettle is double-walled, meaning it insulates better, and you also won’t get burned just by touching it. 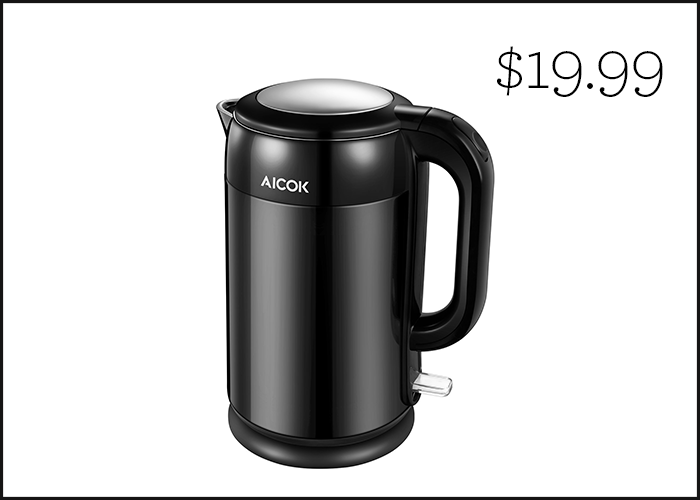 It has awesome customer reviews, so if you’re in the market for a new kettle, definitely check it out. 33% off. I am not saying everyone needs a bathroom scale (nor do I have one in my own home). Weight is a sensitive issue, and if you’re trying to lose some or just be healthier, only you can know whether or not weighing yourself will help. 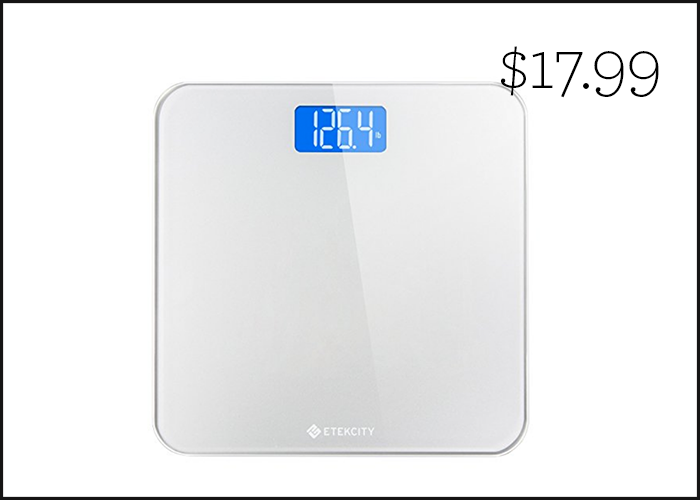 If you do need a scale, though, this one has great reviews and is at a nice lil discount today. 68% off. Not the most exciting purchase, and I realize the tech is quickly becoming outdated. 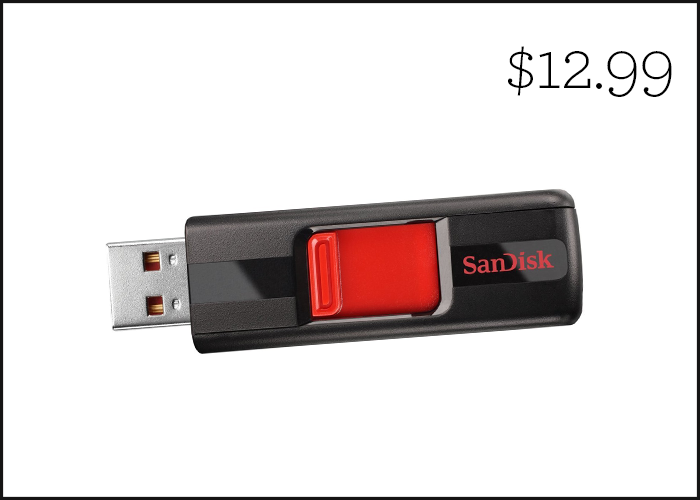 But these are still super useful to me (and I’ll be damned if I don’t make my USB port-laden laptop last me at least another four years) — I recently digitized my entire DVD collection so I could get rid of the disks without losing all the money I’d spent on them since I was 16. (Okay, real talk, my boyfriend did this for me.) Now that whole collection sits on two USB ports, taking up zero space in my apartment. 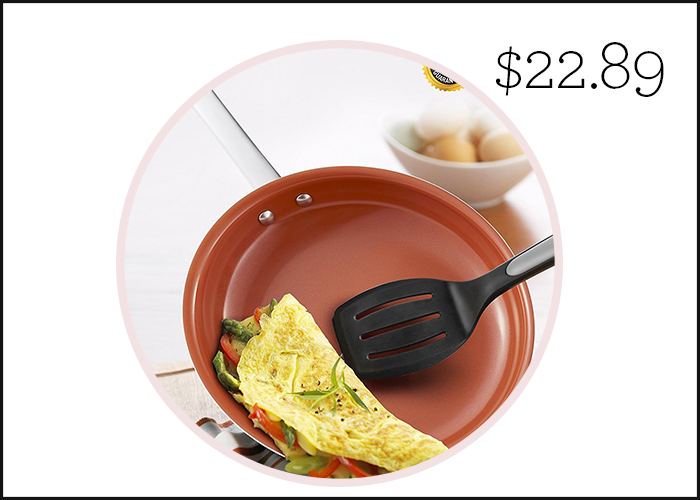 21% off. Smart TVs make so much sense to me these days, especially when so many of us don’t have traditional cable subscriptions. 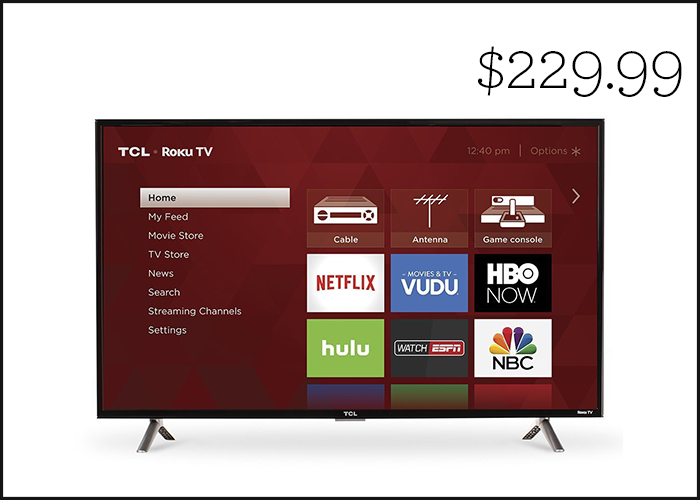 They make it much easier to watch Netflix or Hulu directly through your TV. Of course, if you have a TV that works perfectly well, there’s no sense replacing it. But if you have been needing a new one, check this on-sale model out today! 25% off. It’s very nearly summer vacation season (!!! ), which means lovely beaches, expanded going-out budgets, and dreaded TSA searches. 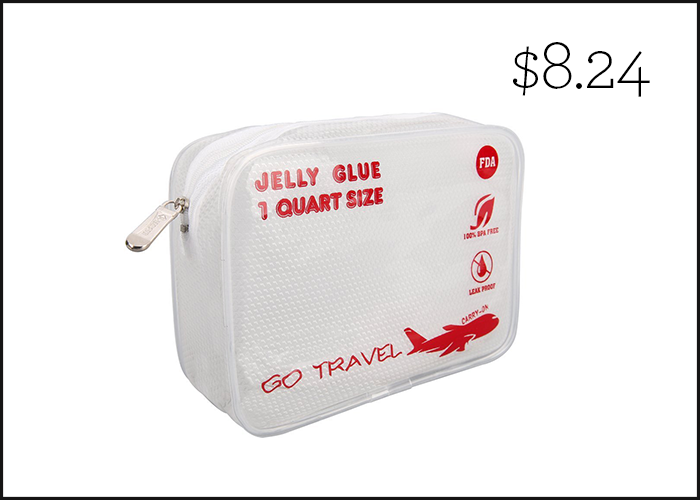 This very reasonably priced TSA-approved toiletry bag can help make getting through security a bit easier. And maybe it’s just me, but it’s also…kind of cute, in a kitschy way? Regardless, definitely something to consider if you have a lot of flying ahead of you this summer. 23% off. I love my nonstick pan with all my heart. I really want the same for you. This one has excellent reviews and is at a great price today. Plus, it’s oven-safe, which means it works for making my favorite use-everything-in-the-fridge-before-it-goes-bad dish: frittatas! 40% off. I am very excited about the warmer weather (well, at least the next month or so, before NYC starts getting truly gross), but I’m not thrilled about the current state of the union re: my feet. I walk a lot, which is great, but it also means needing to put a little more care into my foot appearance when sandals enter the picture. 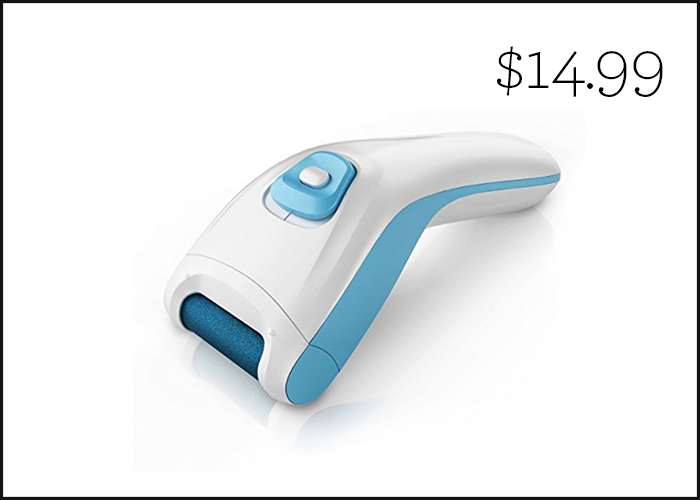 This callus remover is 40% off today and has really good testimonials! 32% off. I’ve been really into reading different people’s tricks for getting a good night’s sleep recently. I’m not the world’s best sleeper, and while I’ve tried supplements like Unisom in the past, they typically make me super groggy in the morning — which is not okay, considering I usually do my best work right when I wake up. 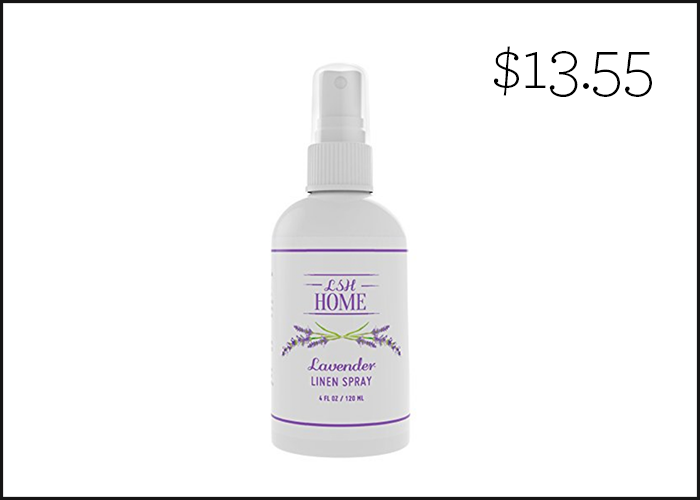 I’ve heard this lavender spray does wonders for helping you drift off to sleep naturally, so I was really excited to see that it’s also on sale today. 26% off. Pressure cookers seem to be all the rage right now, and for good reason — they can help you make amazing meals in 30 minutes, sometimes even less. Perfect when your schedule is more overloaded than you’d like it to be. 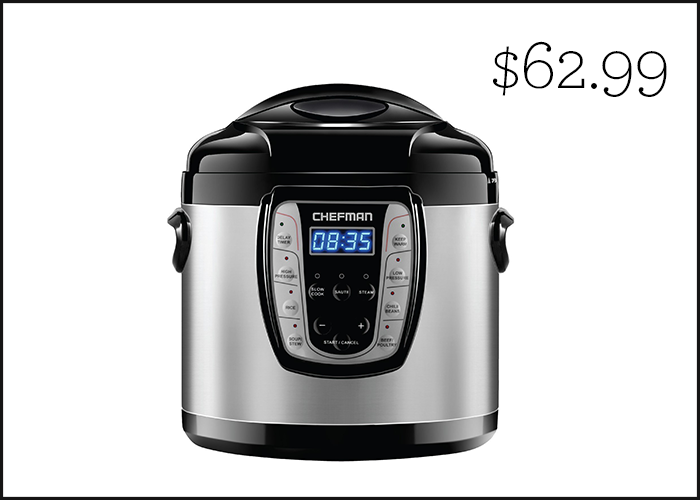 This one is 6 quarts, meaning you can also make plenty of leftovers. 47% off. It’s picnic season, y’all!!! I was just talking to my boyfriend last night about how I’ve been craving a picnic in the park with fancy cheeses and tuna salad, but then I realized we don’t really have a way to transport anything, besides our backpacks. 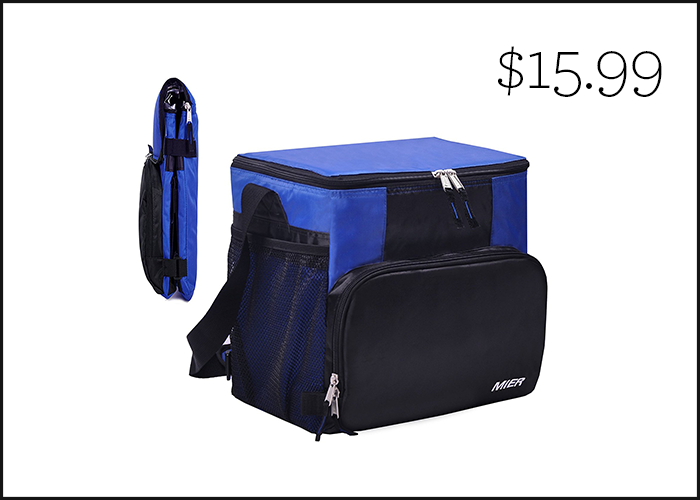 I’ve been meaning to invest in a cooler for some time, and this looks like the perfect size — plus, it’s leakproof, which is very necessary for me.